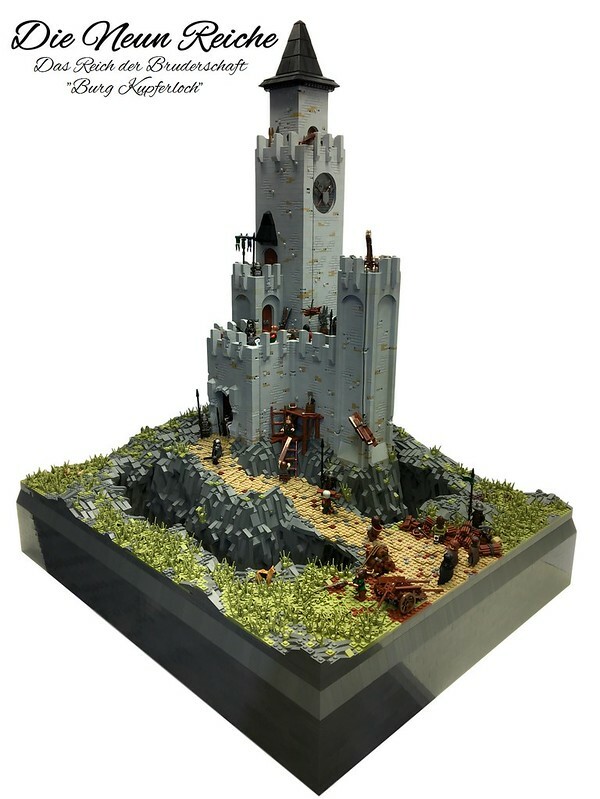 German LEGO builder markus19840420 has made this towering keep for the Imperium der Steine “Nine kingdoms” roleplaying game, and the keep has some very interesting characteristics — it combines old and new castle building styles very fluently. The classic building techniques include somewhat simple rockwork based on slopes, with square towers and clean wall designs, broken up with architectural detailing and some texture. On the other hand it uses many modern pieces and colours, so it looks fresh and new. I should point out the intriguing geological structure on which the fortress is built, which adds an element of mystery to Markus’ creation.